ClubWorx is a gym management software that enables users to streamline their overall business operations. Its features include member management, prospects monitoring, workout tracking, payment processing, and POS. In this article, we cover user reviews and pricing. Ready to try ClubWorx? Get a free trial. 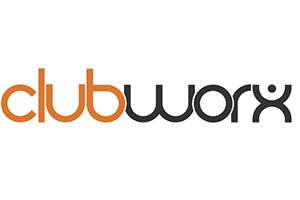 Users who gave ClubWorx a positive review said that it is straightforward to use and integrates seamlessly with third-party apps. Excellent customer support was also consistently cited. One user who gave ClubWorx a positive review on GetApp said that it is, hands down, the most intuitive and simplest gym management software he has ever used. He finds the payment integration function as one of its greatest features, as it allows his team to collect monthly membership dues easily, by just linking their Stripe account to the system. He also said that the available waivers and online forms are helpful when signing up new members. 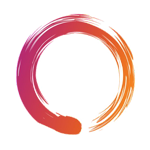 Users who gave ClubWorx a negative review said that the appointment scheduling function can be improved. They also complained about occasional system downtimes. One user who gave ClubWorx a negative review on Capterra said that the app doesn’t have an easy drag-and-drop functionality on its calendar. He pointed out that it is very frequent for gym members to reschedule classes, but the system lacks flexibility, which prompts them to always reschedule classes and appointments manually. ClubWorx offers four subscription plans: Startup ($59/month), Growing ($89/month), Accelerating ($129/month), and Established ($149/month). The main differences between the plans include the number of active gym members, SMS allocation, and access to premium features such as workout tracker, multi-location management, POS, and level of customer support. Ready to try ClubWorx? Get a free trial. Can ClubWorx help users migrate data from their old gym management software? Yes. ClubWorx provides system migration services to users who want to switch from their old gym management software. They encourage interested users to get in touch with them to discuss their specific needs and requirements to be able to easily migrate their data. What kinds of fitness establishments can benefit best from using ClubWorx? While ClubWorx can be used by any kind of fitness establishment, it is most ideal for gyms, martial arts schools, and yoga studios. Not sure if ClubWorx is the right fit for you? Read our reviews of all top gym management software or check out one of these three ClubWorx competitors.